Lou Bernasconi was born in 1931 in Napa, California. He was commissioned a 2d Lt in the U.S. Air Force through the Air Force ROTC program at Fresno State College in Fresno, California, on June 8, 1954, and went on active duty beginning January 7, 1955. 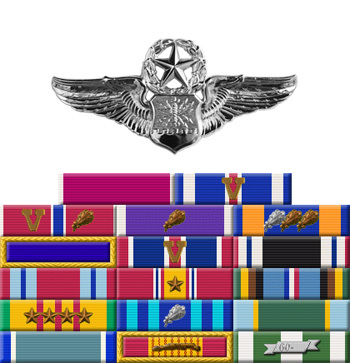 Lt Bernasconi attended Pilot Training at Marana AFB, Arizona, from January to April 1955, and then Aircraft Observer training at James Connally AFB, Texas, graduating in May 1956. He next completed Navigator Strategic Bomber Training at Mather AFB, California, in September 1956, followed by service as a B-36 Peacemaker Navigator-Bombardier witht he 334th Bomb Squadron at Biggs AFB, Texas, from October 1956 to April 1959. His next assignment was as a B-52 Stratofortress Navigator-Bombardier and Radar-Navigator with the 301st Bomb Squadron at Eglin AFB, Florida, from April 1959 to June 1962, and then as a B-52 Radar-Navigator with the 60th Bomb Squadron at Ramey AFB, Puerto Rico, from June 1962 to July 1965. 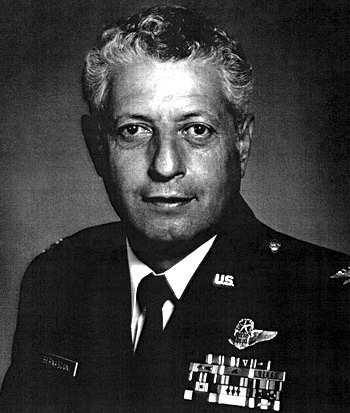 Maj Bernasconi attended Air Command and Staff College at Maxwell AFB, Alabama, from August 1965 to June 1966, and then served at the Air Force Special Weapons Center at Kirtland AFB, New Mexico, from July 1966 to September 1970. 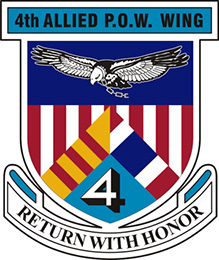 Col Bernasconi served as a C-123 Provider Navigator with the 315th Tactical Airlift Wing and the 311th Tactical Airlift Squadron at Phan Rang AB, South Vietnam, from September 1970 to September 1971, followed by service as a B-52 Radar-Navigator with the 20th Bomb Squadron at Carswell AFB, Texas, from October 1971 until he was forced to eject over North Vietnam and was taken as a Prisoner of War while on temporary duty to Southeast Asia on December 22, 1972. During his time with the 20th BS, Col Bernasconi deployed to Southeast Asia from April to October 1972, and again in December 1972. After spending 98 days in captivity, he was released during Operation Homecoming on March 29, 1973. He was briefly hospitalized to recover from his injuries at Travis AFB, California, and then attended Air War College at Maxwell AFB, Alabama, from August 1973 to May 1974. His final assignment was at Kirtland AFB, where he retired from the Air Force on July 1, 1980. Lou Bernasconi died on May 29, 2010.